DESSANGE expertise and performance are yours in this "Made in France" Prestige cushion brush. 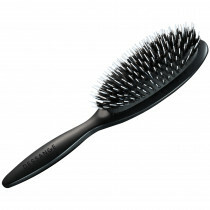 This nylon and boar bristle brush offers a refined design and high quality. Nylon bristles make it easier to untangle all types of hair from the root. Natural boar bristles help make hair easier to smooth. Hair is pampered and shiny. Optimal styling comfort and gentle untangling thanks to the specific layout of the bristles on an extra flexible cushion. Flat oval styling brush. Nylon and select boar bristles. 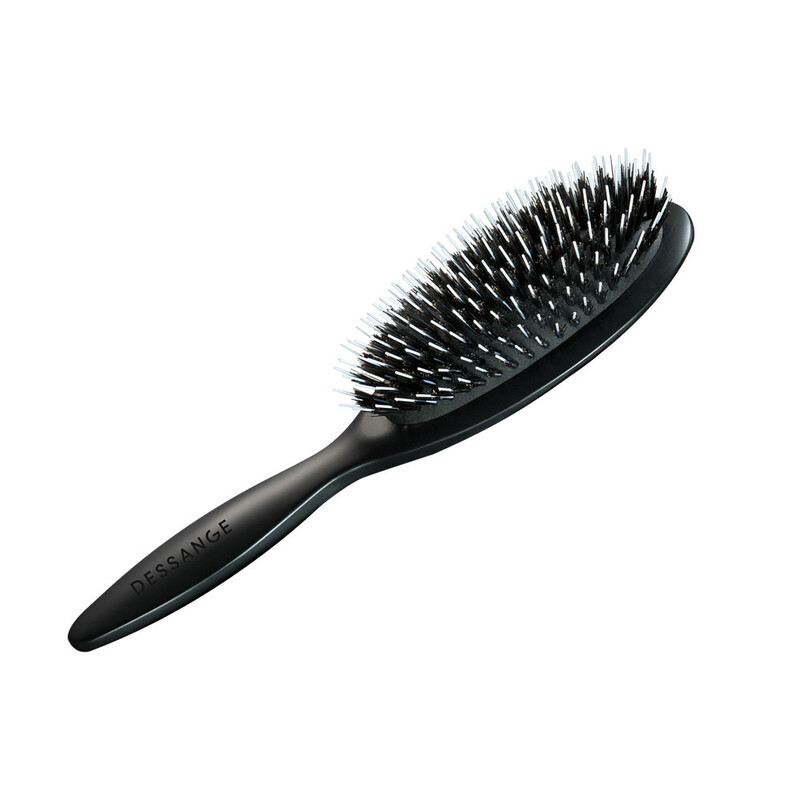 Specific layout of the bristles on an extra flexible cushion for optimal styling comfort and gentle untangling. You can easily carry along this small brush in your handbag. Can be used at any time of day. This brush can be used on men's or women's short hair. Remember to regularly clean your brush: remove the hair from the brush after brushing. Wash the brush in warm water and leave it to dry with the bristles turned down.